Diana enrolled at West Heath School in 1974. She led a crusade against the manufacture and use of antipersonnel land mines and in 1988 became the patron of British Red Cross which supported other countries like Australia and Canada. She spoke out for the destitute, children, and the elderly. She also raised money for cancer research. 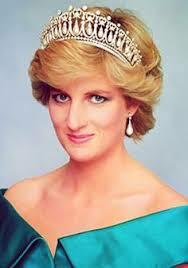 Diana was the patroness of working with the homeless, youth, a charity for drug addicts, and the elderly. From 1991 to 1996 she was the patron of Headway (a brain injury association). In 1992 she became the first patron of Chester Childbirth Appeal (she had supported it since 1984). She would work to comfort the seriously ill or dying patients. In June 1995 she made a trip to Moscow to visit a children's hospital. Princess Diana was also the patron to Help the Aged, British Lung Foundation, and Royal Brompton Hospital.